It appears that I was in error (maybe twice) in the October 20, 2011 “Hallelujah!” blog entry. I don’t like to propagate misinformation, and I appreciate it when readers point out my mistakes. Those times I’m in error I’ll do my best to set the record straight! Is Gus Cannon the banjo player in “Hallelujah!” ? I’m happy to be wrong in the first instance, because it means we now have additional support for the claim Gus Cannon was the banjo player in “Hallelujah!” and we can give him his due credit. All thanks go to music researcher and Vernacular Shellac follower Robert (Bob) Vee for shedding additional light on whether or not it’s Gus Cannon in the above mentioned wedding scene. 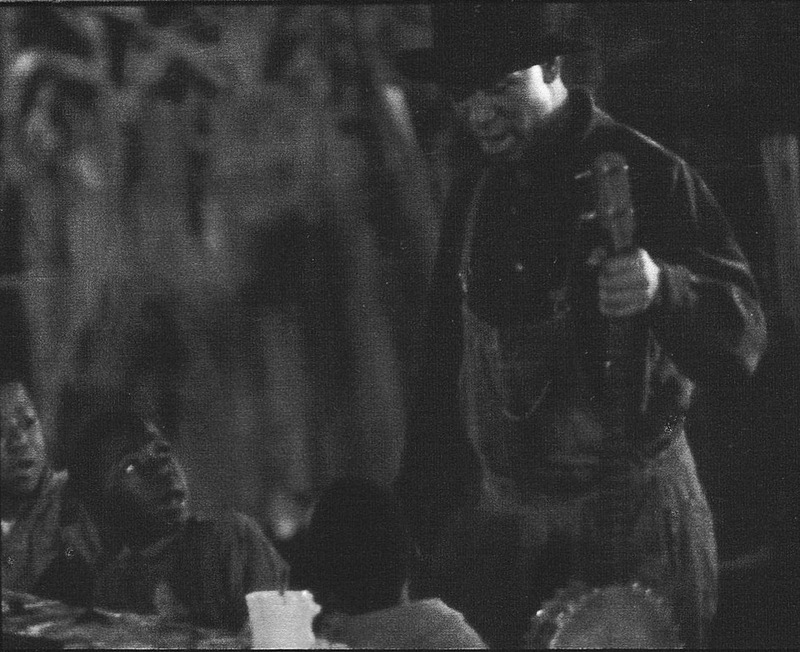 left: Cannon, banjo in hand, pays a visit to the Johnson family. right: Cannon (left center) with banjo and jug band. Bob relates that he was in the South during the late 70s/early 80s when a copy of “Hallelujah!” became available, and upon showing a photo of the “Hallelujah!” banjo player to two local musical contemporaries of Cannon (at different times) both immediately said “yep, that’s him [Gus]”. 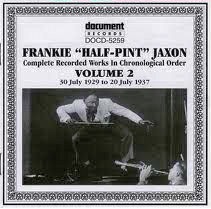 Is Frankie Jaxon in the “Hallelujah!” cabaret scene ? 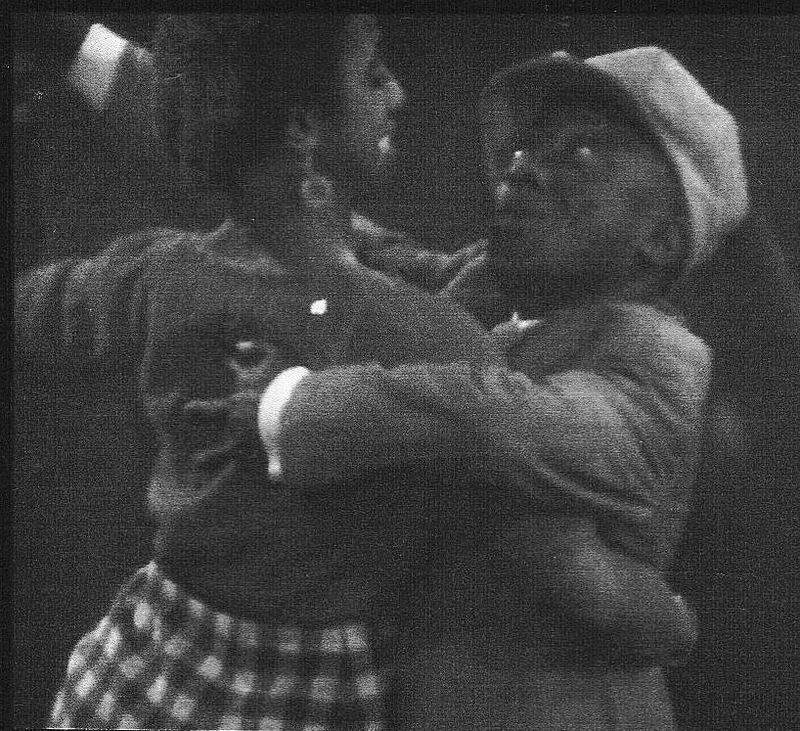 The “non-Jaxon” alternative would be that the gentleman in the cabaret scene is impersonating Jaxon’s look, style and voice, as well as wearing what appears to be virtually the same cap Jaxon wore two months later in the Duke Ellington film “Black and Tan Fantasy” (as well as the photo below). Granted, none of this is proof of Jaxon appearing in “Hallelujah!” but to my eye and ear, it’s either Jaxon or someone going to a whole lot of effort to perform a very credible imitation. 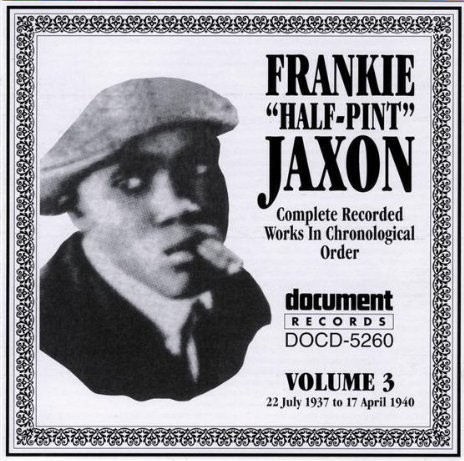 left: Photo of Frankie Jaxon on Document DOCD-5260 right: Frankie Jaxon? from the “Hallelujah!” cabaret scene. 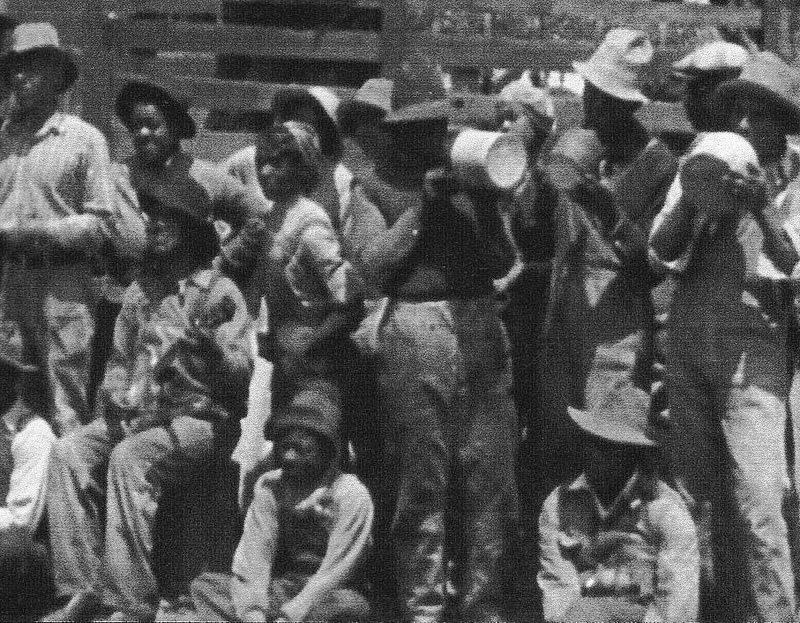 “Hallelujah!” began filming on location in the South (Tennessee, Arkansas & Mississippi) on October 28, 1928 and wrapped up in Los Angeles in mid-January, 1929. We know that during that time frame, Jaxon recorded in Chicago on October 31, November 9 and November 28, 1928. Jaxon’s whereabouts in December, 1928 through January, 1929 are unknown but we have found no evidence of his being in Los Angeles. Thanks again to Bob Vee for providing the facts of the matter, as well as for holding my feet to the fire and demanding documentation, not supposition on my part. There is almost zero chance that’s NOT Frankie Jaxon. 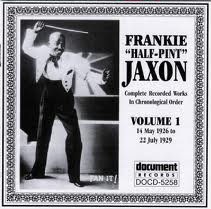 Though we know Frankie best as a singer, his first renown was as a dancer so really: what’s the likelihood there’s a Frankie Jackson lookalike AND soundalike with show biz connections enough to end up in a King Vidor film? Again, if you research Frankie’s show biz career en toto, it has to be him. Winin’ Boy, Thanks for the input (and thanks for checking out Vernacular Shellac). Though the evidence is circumstantial, I too feel strongly that it’s Frankie Jaxon in the Hallelujah cabaret scene.